PRO-TEC offers preparatory training for entry-level employment in a variety of industries and is designed for individuals who are currently unemployed, under-employed or looking to increase their hire-ability in Santa Fe County. Accepted participants will prepare for industry certifications (social media, IT, leadership) through hands-on workshops and gain key job readiness skills in 130 hour intensive program starting April 22, 2019. 4/22-5/7 5:30-8:30 p.m. at SFCC. Graduation Friday, May 8, 2019. 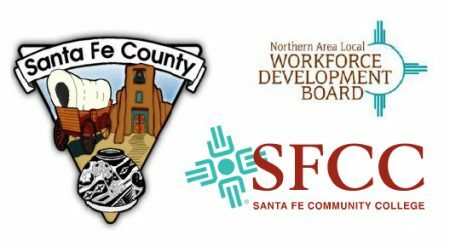 Participants will intern on-ground in local Santa Fe County businesses as part of the program for 100 hours May 9-June 13, 2019. Learn more about the program and its instructors. For Information Please Contact Kris Swedin, kris.swedin@sfcc.edu or 505-428-1676. To schedule your Work Keys assessment contact Ted Lech 505-428-1748 thaddeus.lech@state.nm.us. All applicants must complete their Work Keys assessment before or when they apply for the program. Training Scholarships and Stipends available to qualifying participants. Learn more on the PROTEC Santa Fe website.